So here's the honest truth - unless you have access to a magic wand there's no way you can rid yourself of dark circles permanently and fully. The good news is there are certain ways you can manage the look of them, help to brighten them and some great products you can use to conceal them when makeup is the way forward. Unfortunately some people are genetically predisposed to dark circles and your Mum or Dad may have passed the suckers down to you. If this is the case you may definitely be able to lighten and counteract any way in which they've been made worse (dehydration, late nights, bad diet etc.) but it may mean concealing is the only way forward for you - sorry! However if you haven't been using eye creams, concealers, eye masks and anything else that may help your non genetic dark circles, it's likely there are a couple of things you can add to your routine that will help you out, even a little. Last week my Step Sister asked if I had any ways in which she, a new very tired Mum, could do something about her dark circles, so here they are, 5 ways to help combat dark circles under your eyes. Inthefrow uses affiliate links & some items are gifted. The first step to helping those dark circles out is making sure your lifestyle isn't enhancing them before you start thinking that the eye cream you love so much, doesn't seem to be brightening them at all. No matter how many things you add into your skincare routine, if you don't treat your body right, those lotions and potions may not be worth the money. Firstly, are you drinking enough water? We all know consuming enough water helps to hydrate us, alleviates puffiness and allows our skin to glow, especially the thinner skin underneath our eyes. There are a multitude of positives to staying hydrated in general so I'd say even if combatting dark circles isn't your primary goal, head over to that tap pronto! Secondly, are you getting enough sleep? Don't worry new Mums, I know this one might not be possible for you right now but a bad night's rest is something I know personally elevates my dark circles, especially when it's teamed with a rare boozy night out. A bad combination that quite often equals dull skin and darker than usual circles under the eyes. And thirdly, are you not feeling well? Not necessarily something that you can combat straight away but when we're feeling under the weather you might find your dark circles seem more serious than usual. A cold, a sinus infection, the beginnings of the flu, they can all make dark circles worse so you can at least rest-assured that they may well look better once you're starting to feel better. There are so many factors that can affect your skin like sun damage, diet and simply ageing too, but working out if there's anything you can do on top of the right skincare can help enormously. Probably the newest step in a lot of our routines and one some of us don't have and won't have, is the use of eye masks and tools. I've always been aware the skin under our eyes is thinner than the rest of our face and should be treated gently and with greater care. This avoids breaking blood vessels, encouraging wrinkles and tempting dark circles to get darker rather than brighten. I've often used eye masks in the past as an extra boost of hydration at the beginning or end of flights, and find that they do temporarily help my dark circles to appear brighter. Over the years I've found some work better at helping my skin to glow than others and my favourites have to be the Elemis Pro-Collagen hydra Gels, Skyn Iceland Hydro Cool Firming Eye Gels or for something super luxurious, the Guerlain Super Aqua Eye patches. Anything cooling will help to brighten the look of under eyes, so storing them in a cool place if you can, will also give your skin a little boost. 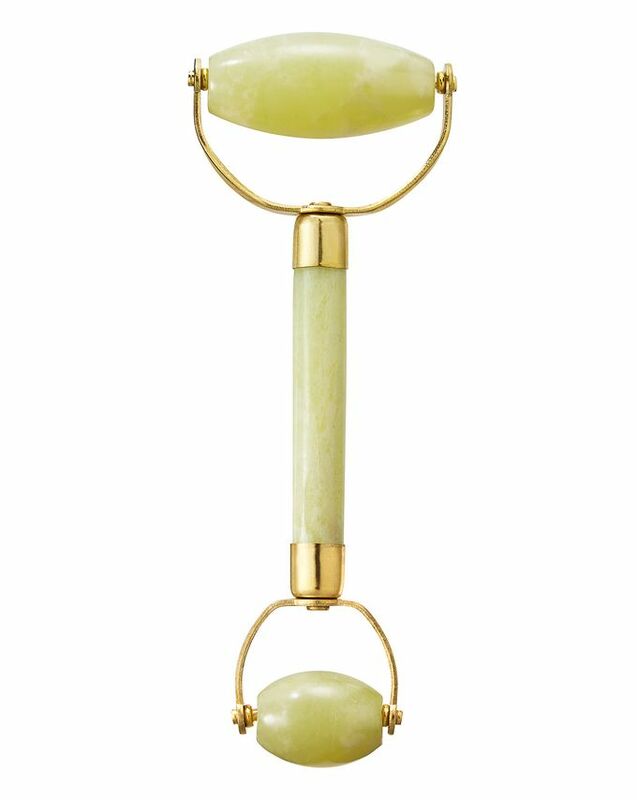 Similarly the use of something a little more 'boujee' like the jade rollers we've been seeing all over Instagram for the last 12 months, may actually help to give your skin a little brightening boost too. Rolling a cool (temperature cool not Insta-cool) jade roller over your skin, can encourage blood flow and reduce puffiness, while also relaxing you and even helping to ease tension headaches in turn. Magic right? Not quite. Remember nothing you use is a permanent fix but keeping up with a routine that works for you will also keep up the positive effects you're seeing, even if that includes using a jade roller while watching Gossip Girl re-runs on a Sunday night. Even though I know you should treat your under eye skin differently to the rest of your face, doesn't mean I always have done. Sometimes we listen to those that are qualified and know far more than you do, but putting their advice into practice doesn't always come easily. I have been using AlumierMD almost exclusively for over a year now, after numerous consultations that pin pointed which products work well for my skin type. My routine includes their AluminEye brightening eye cream and I have to say now that I have a routine that works for me, sticking to it has really helped to lighten those dark circles. It can take time and lots of advice to find something that works for you but I do have a few tips for choosing an eye cream to add into your collection. Try to find a cream that isn't too heavy. The skin under your eyes is 10x thinner than your cheek skin, so it should be treated gently, so adding a cream into your routine that's too thick could have the opposite effect than what you're aiming for. And don't go layering your moisturiser over your eye cream either, leave your undereyes for your eye cream only. Similarly with adding in a cream that's scented. Sensitive under eye skin doesn't need a potent mix of perfumes that could also irritate and worsen your dark circles. Also try to avoid mineral oil if possible. My eye cream of choice is mineral oil free and after a little research it's heavy, barrier like nature can trap bacteria and clog pores, which is the last thing you want when trying to brighten and even your skin. And learning how to apply your under eye cream is just as important as using an eye cream that's right for you. Treat your skin with love and care and gently pat any product in, rather than rubbing the sensitive skin under your eye. Don't pull and push on your undereyes, gently pat with your ring finger without dragging. This will help the product to absorb into the correct area and will be a gentle enough motion to not damage the skin. So what if your skincare is great for your skin type, and your lifestyle has reduced the puffiness and hydrated you but genetics are stopping you from really brightening your under eyes? Never fear, you can still use a little makeup to conceal those dark circles if you choose to. There are definitely a couple of holy grail concealers in my makeup bag right now, oldies but goodies and brand new discoveries alike, but which ones are right for you? If you're looking for a really high coverage and nothing else will do, then you probably need to think about a product such as Tarte's Shape Tape and perhaps even doing a little research on colour correcting. I've tried colour correcting in the past and it definitely does work, but perhaps heading to your favourite makeup counter and speaking to an artist will give you a good idea of what to try. In general, yellow undertone makeup corrects blue undereyes, and orange undertone makeup corrects brown shadows, but an artist will really be able to narrow the right products for you. My newest discovery has to be the Armani Power Fabric Concealer. Don't be fooled by the name though, this concealer is from the same family as the Power Fabric foundation but is a touch lighter in consistency. 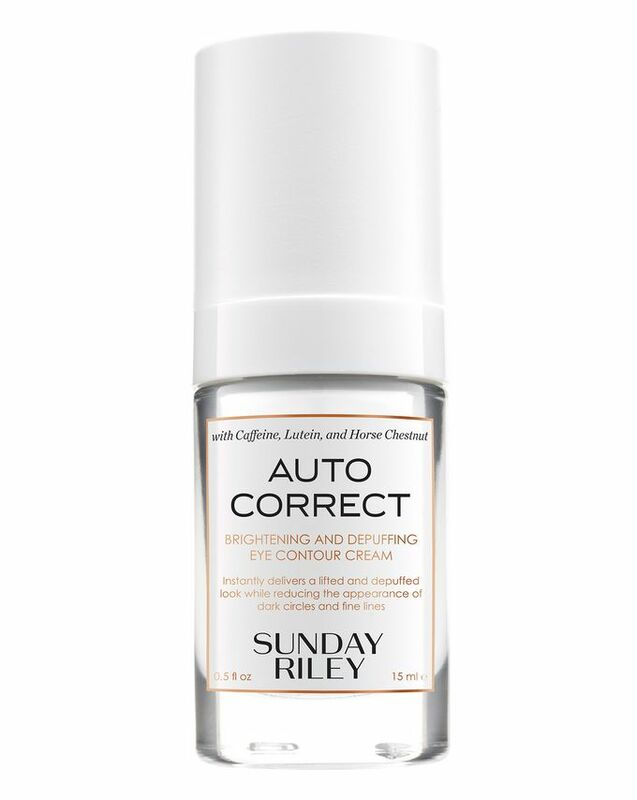 It blends easily, feels light to the touch and lasts well both on its own and combined with a high coverage foundation. I've been using this concealer under my eyes and on blemishes for the last 2 weeks or so and I'm completely sold on it's amazing coverage. An old favourite you know I couldn't leave out when talking about under eyes, NARS Soft Matte Concealer of course. Super easy to apply on the go with it's portable pot, gives a high coverage finish when warmed between the fingers and also contains ingredients more commonly found in skincare, such as collagen boosting peptides to help the under eye skin. And if you're looking for something altogether more natural but covering to try out, then give the Lumene Brightening Concealer a try. I fell in love with this product and have used it for over 6 months now religiously. The consistency is incredibly creamy and as well as helping to hide dark circles, it feels as though it's really hydrating your under eyes. The formula uniquely contains the cloudberry to help hydrate and brighten your skin. 1. Don't layer too many skincare products under your eyes. Too many layers encourages creasing which in turn makes under eyes seem darker and often more sallow. Apply just your eyecream, and a very light serum if you wish, but don't apply every facial product to your undereyes. They don't need your heavy facial moisturiser clogging up the thin skin. See your face as being in sections and apply each particular cream to the correct sections, rather than going all over with every single one. 2. A lighter toned concealer isn't always better. I find a concealer in a similar shade to my foundation, or just a little lighter, helps to match my under eyes to my skin tone rather than contrasting too much. I know people love to go much lighter under their eyes, but for me this tends to make me look a little ill. So I like to warm my eyes back up with a shade only a tad lighter than my foundation. 3. Be careful of adding too much powder to your under eye. This can sometimes cause flashback in photos and draw attention to your under eyes for all the wrong reasons. Plus, you may find your undereyes creasing more if you add more and more layers of product and you're one of those very expressionful people - like moi. The key is to use as minimal products in that one place as you can - meaning a great concealer over your eye cream, a light wash of powder and thats about it. My favourite powder is the Guerlain Translucent Powder or the La Mer Pressed Powder. 4. Sometimes applying and blending concealer with your finger is all you need. Warming the product with your own body heat and gently patting under the eyes can leave you with a far more radiant everyday look than using a brush. Or, get yourself a beauty blender. If you've never used one - I truly recommend just having one in your makeup arsenal. It really can help to disperse product, remove any brush strokes lines in your foundation and just create a lighter finish. But for concealer, it can offer such a flawless finish all over. 5. I've sort of touched on it above, but try not to layer too many makeup products under your eyes. I'm guilty of this too - often adding my foundation all over and then my concealer on top. But after chatting with Linda Cantello, Armani's Head of Makeup, she was adamant that concealer is the only product that needs to go under our peepers. And I know she's right - the times that I have applied concealer first and then foundation everywhere else, it actually looks so much more natural and flattering. These images were captured in Dubai while staying at the Burj Al Arab hotel. This New Years trip was kindly gifted to us by the hotel.